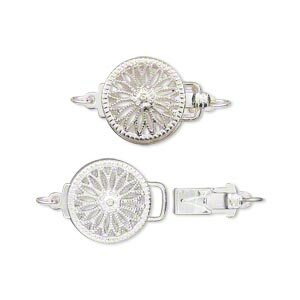 Clasp, tab, silver-plated brass, 10mm single-sided fancy flat round with cutouts. Sold individually. 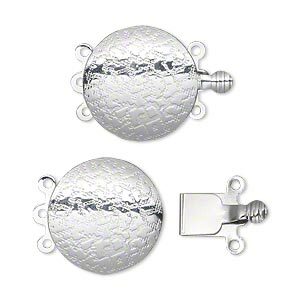 Silver-plated brass tab-style clasp with fancy design is an economical way to bring the look of precious metal to jewelry designs. Machine cast and stamped clasp has quality plating for long lasting wear. 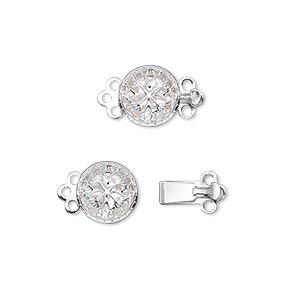 Clasp, tab, silver-plated brass, 10mm round. Sold per pkg of 100. 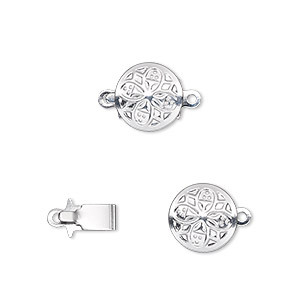 Clasp, tab, silver-plated brass, 12mm filigree round. Sold individually. 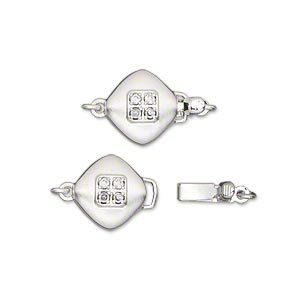 Clasp, 3-strand tab, silver-plated brass, 20mm round with good luck symbol. Sold individually. 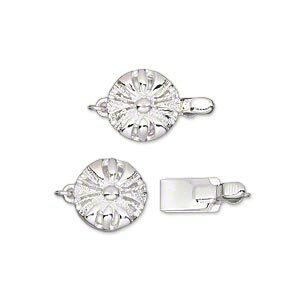 Clasp, tab with safety, glass rhinestone and silver-plated brass, clear, 11x11mm double-sided satin puffed diamond. Sold individually. 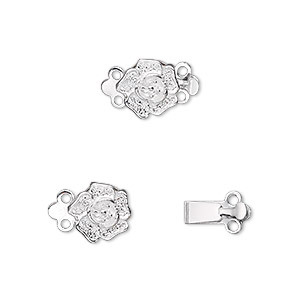 Clasp, 3-strand tab, silver-plated brass, 9mm single-sided filigree round. Sold per pkg of 100. 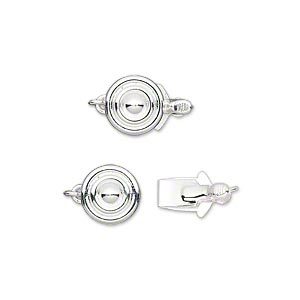 Clasp, tab, silver-plated brass, 9mm single-sided puffed flat round with spiral design. Sold per pkg of 2. 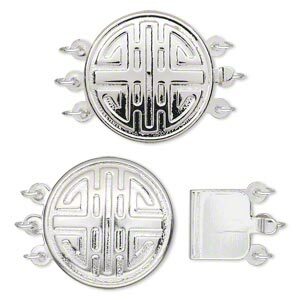 Clasp, 3-strand tab, silver-plated brass, 17mm single-sided round. Sold per pkg of 100. 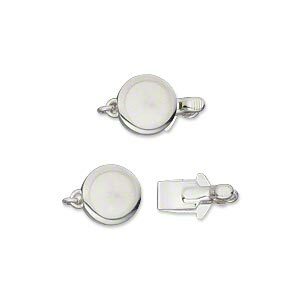 Clasp, tab, silver-plated brass, 9x4mm single-sided smooth flat round. Sold per pkg of 2.